Do you want to help your child become a lifelong reader? Reading can help develop important literacy and critical thinking skills. It can also be a pleasurable hobby. Developing a love for books in the early years will provide your child with reading readiness skills and provide them with a foundation for success at school and beyond. From the day that your newborn comes home from the hospital, you can start nurturing a reader. Young babies respond positively to the soothing rhythm of a voice reading aloud. If you make reading to your child a part of daily routine, they’re likely to grow up looking forward to it each time. Children learn from what they observe. So, set a good example and read as much as you can too! Whether you love magazines, blogs, novels, or books, let your child see your reading. If they see that you’re excited about reading, they’re likely to catch your enthusiasm about reading too. Children who grow up in homes surrounded by books read more. If your family has an e-Reader, keep it updated with new books. There are various kid-friendly books available today. The library is a great place where you and your child can explore new authors and books for free. Many libraries also offer story hours and other reading activities for children. These will give your child explore more books and see other children doing the same thing. Give your child the freedom to choose which books they want to read. For instance, if you’re in a library, give your child the time to look around and see what catches their interest. Children are more likely to read something that they picked out themselves. Create a comfortable reading space – it doesn’t have to be big. It can even be just a chair in your child’s room or an extra space in the corner. Just make sure to pick out a comfortable spot that has good lighting and enough room to keep a book or two. By creating a good reading space, your child will learn to connect comfort and coziness with reading. 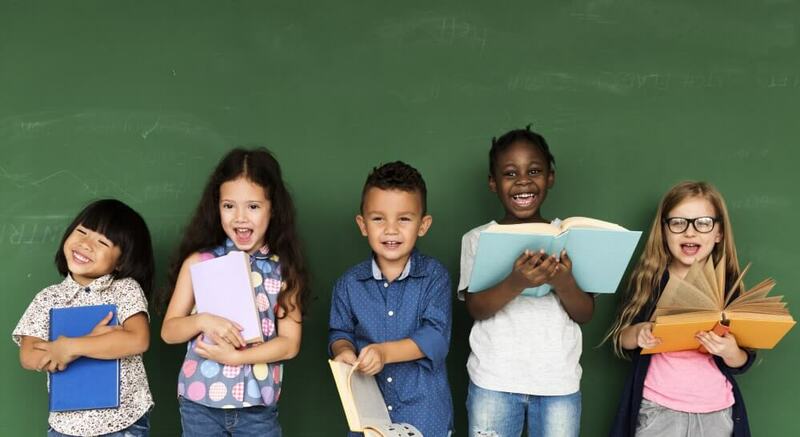 When it comes to developing your child’s reading skills and fostering early childhood education in Riverside, California, there’s no one more equipped to help your child than Montessori Children’s House. This entry was posted in Child Development and tagged academic programs, childhood education, early childhood education, Preschoolers and toddlers, reading skills. Bookmark the permalink.